1. When opening a new ZIP, it doesn't remember the last used folder anymore. 2. When loading a ZIP, and you want to look for the image, the content folder is empty, and instead it's dumped in the previous version folder. Copy the settings file from V 1.0.5.2 to V 1.0.5.3 that should fix it. That box that keeps coming up with all the same name, was related to all the items in the list, that I just need to assign a Custom Category. That's good that the update fixed you problem with your Poser file. But that doesn't mean that the smart content tab will work for all Poser files. Maybe Dumb luck lol.. But now I know why that popup box comes up.. I just need to assign a custom one to it. No problem, With your help and the help of others CDDS can become a great program. Anyway I have a few bugs to fix that where pointed out by @MrMechano before I restart my redo of the smart content tab witch will take some time to complete. But I will keep updating major bugs that are found. I started on it a while ago in Delphi, but gave up... now you got one working.. so deleted my project lol. Think I asked this already, can't remember. @yugioh wrote: I started on it a while ago in Delphi, but gave up... now you got one working.. so deleted my project lol. 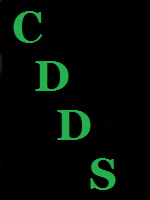 CDDS is written in C#. No, the info doesn't get load back that's on the update list.